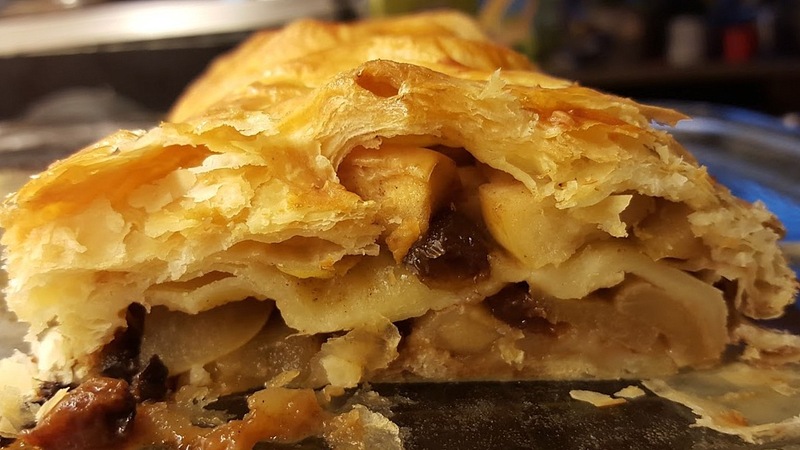 Apple Strudel originated in Austria over 300 years ago and has been popular especially in Eastern European countries for several generations. The perfect seasonal mix of carbohydrate, fruit and sugar, served with cream, ice cream or custard, it is comfort food at it's best, and using ready-made puff pastry it's ready to bake in 15 minutes, ready to eat in an hour. The chefs who work at Gracewell Care Homes pride themselves on their quality food, and have enlisted Michelin Star Chefs to work on their recipes. They have created a recipe booklet featuring some of their resident's favourite dishes and asked me if I would like to pick a recipe to try, and they'd provide the ingredients and a gadget to help me cook. 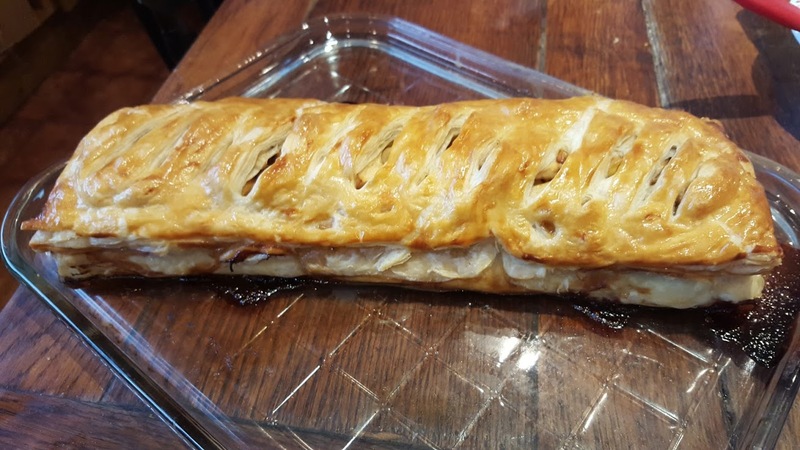 Apple Strudel is a favourite here, so it was an obvious candidate. The Gracewell recipe booklet does not suggest how to prepare the apple, I left the peel on as it won't be tough after a long bake, and cut my apple into approximately 1cm chunks. 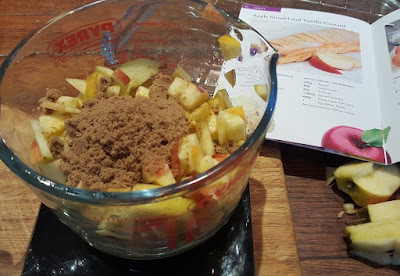 Combine the apples, sugar, sultanas, nutmeg, orange zest and juice. Set aside. Place the pastry across a lined baking tray, lightly score lengthwise into 3 sections. Don't be like me, line your tray with greaseproof paper, it'll be much better. Brush pastry with egg. Spread half the fruit mixture in the centre third of the party. 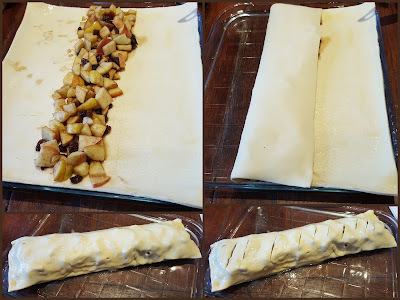 Fold one side of the pastry over the fruit mixture and press to seal. Top with the remaining fruit mixture. Fold the remaining side of the pastry to cover and press to seal. Brush the pastry top with egg. Score the top with a knife. Bake at 175c for 45 minutes until the pastry is golden brown and firm on the bottom. Remove from the oven and let stand for 10 minutes before slicing. 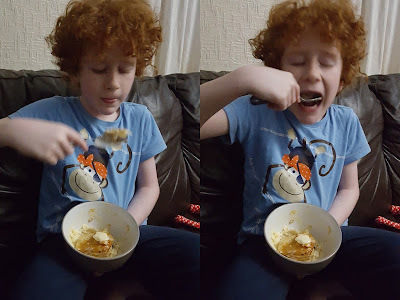 Make the custard as directed, whisking in a drop of vanilla essence partway during heating. The orange juice was a really nice addition and added a great touch of real fruitiness. It is always surprising how much fruit reduces during cooking, and the apples really can be piled into the pastry to make a good fat strudel. So simple to make, but a substantial crowd-pleasing dessert which tastes great. Gracewell open up their care homes across the UK to allow the public to come in and try their food during their Taste Of Gracewell annual event from 5th-13th March. Gracewell care home in Knowle near Solihull is the nearest one to me, however still a bit far! 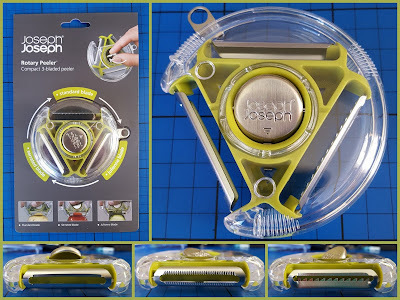 The gadget I was sent is a Joseph Joseph Rotary Peeler. It's a very clever device with a rotating central core to which 3 differently shaped blades are attached - standard, serrated and julienne. I used it for my orange zest in this recipe, and it worked really well. I've also used it for vegetables and apples. The large shape does feel strange in your hand to start with, but after a while it actually feels more natural and gives much finer control.